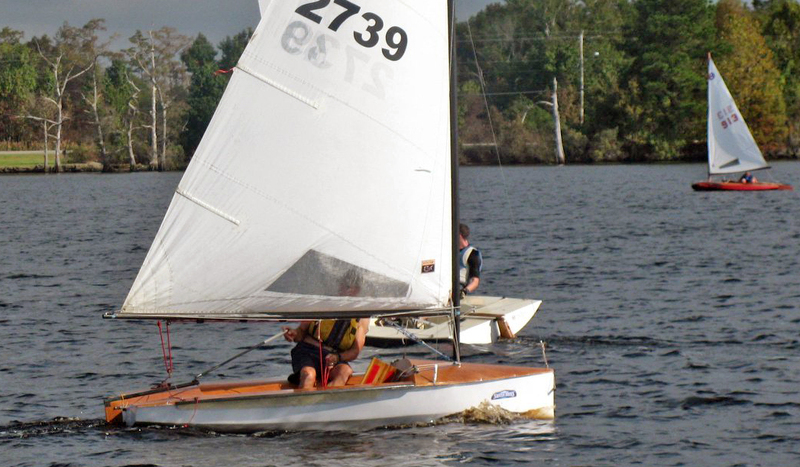 At the 2018 Classic Moth Nationals, for the first time in about twenty years, a hull design other than the Mistral won the Gen II class (faster designs). 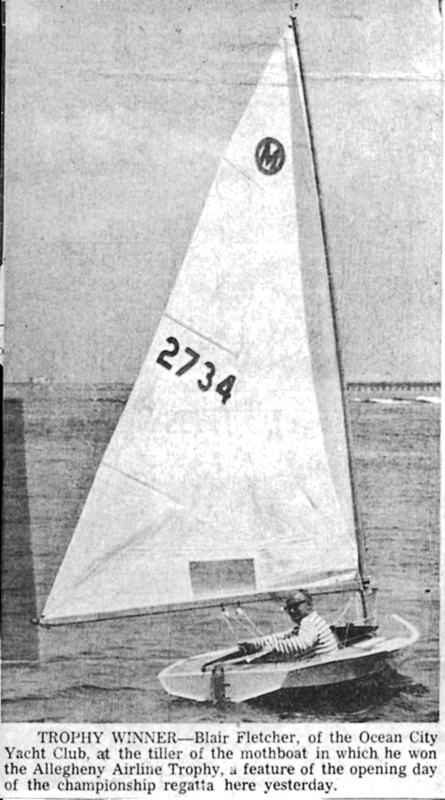 Joe Bousquet took a dilapidated Swiss Dunand Moth, (a fiberglass Swiss hull built by Fletcher Marine), rehabbed it with his signature tub cockpit, and proceeded to win easily in very light airs. 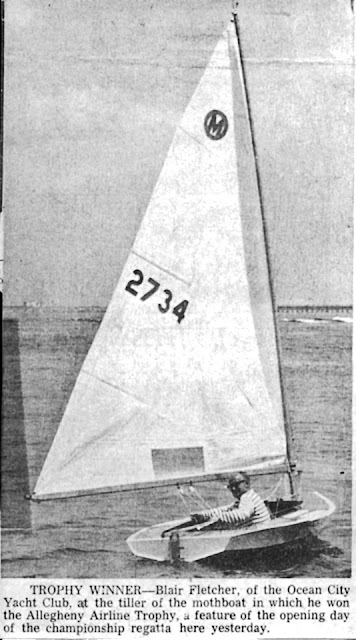 This is Blair Fletcher in the original plywood Swiss Dunand Moth he purchased from the Swiss after they won the World Championship in 1965 at Cape May, New Jersey. As seen below on Joe's double-deck trailer, the Swiss Dunand (top) and the Mistral (bottom) share very much the same rocker line and the midship V-shape is also very similar. The differences are the Swiss Moth has much fuller bow sections, there is a topside chine on the Swiss Moth, and the stern is V-shaped vs. the semi-circular transom on the Mistral. 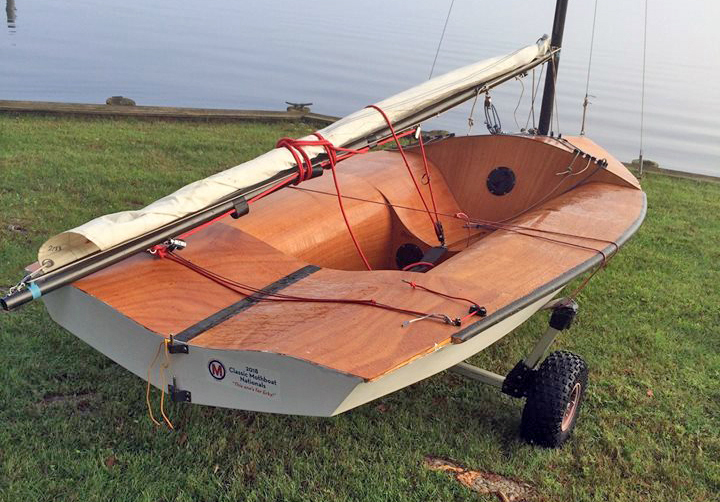 The Swiss Moth also has more freeboard. Joe going upwind in as much breeze as showed up at the 2018 E-City Nationals. 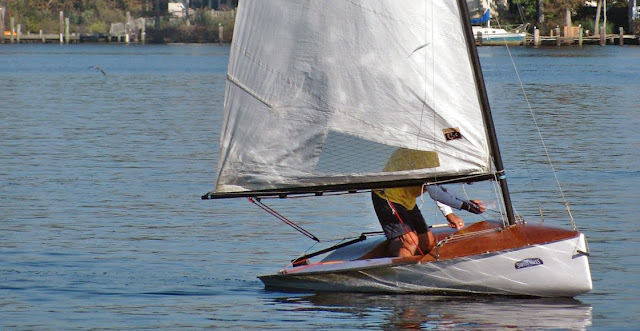 Joe had to sit much further forward on the Swiss Moth to keep the full bows in the water. Another view of the full bow of the Swiss Moth. Joe in Swiss Miss (2379), to the right of the Mistrals of Mike Parsons (70) and John Zseleczky (111). The lines for the Swiss Dunand Moth showed up on Louis Pillon's Moth website and are reproduced below. It appears that some anonymous Moth nerd has fed the Swiss Moth lines through some hull fairing program. If you want to print, use the top right arrows pop-out icon to put this into another tab on your browser. See this post for Bertrand Warion's fiberglass Dunand variant. 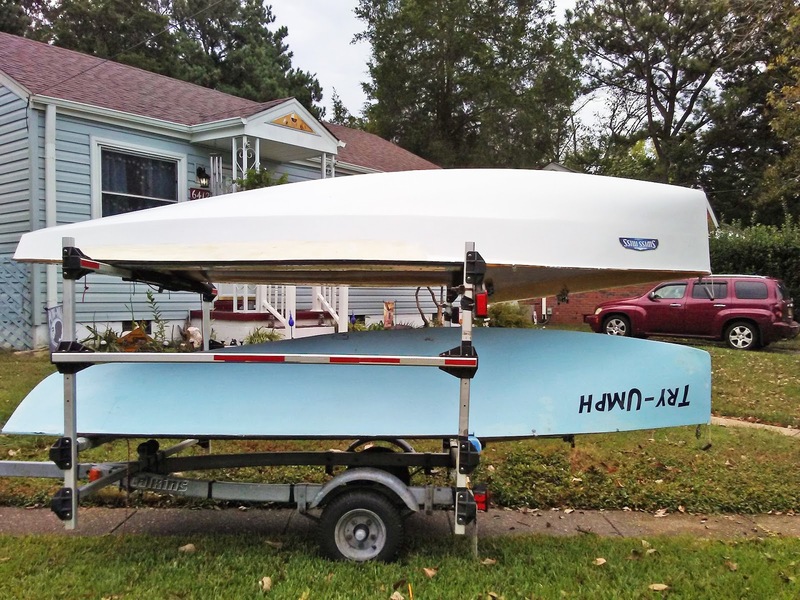 George A. over at the Mid-Atlantic Musings blog did a three part series on the 2018 Classic Moth Nationals with plenty of photos. Click on the links below to read through his reports. Very deep V sections. What is she like downwind in a big wind? I don't know about the Swiss Dunand but the Mistral is surprisingly controllable. The large amount of rocker forward provides enough buoyancy so that she doesn't nosedive downwind. Click to see this video where a Mistral (no. 102) on a power reach goes up against my Tweezer (no. 92).